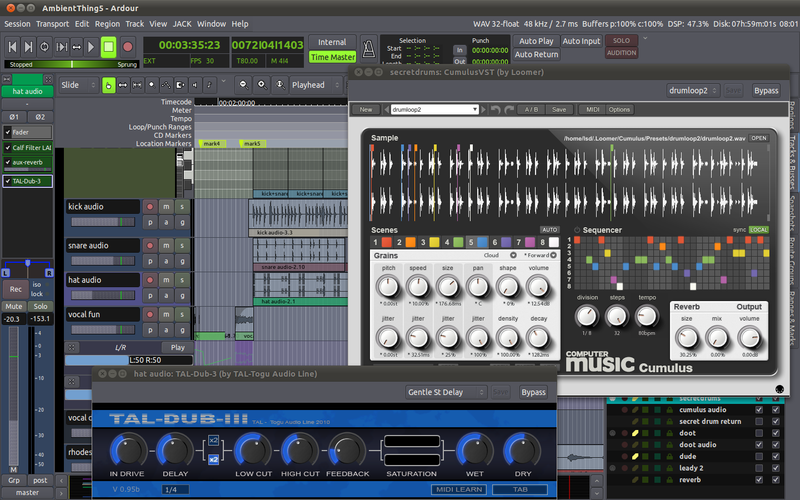 This entry was posted in Linux, Music, Rants and tagged ardour 3, loomer, lv2, pianoteq, TAL, vst by lsd. Bookmark the permalink. Pingback: SoftSettings.com » Post Topic » Как написать — создать музыку в Linux ?